The annual Golden Melody Awards is the Mandopop equivalent of the Grammys, and is widely recognized as one of the most prestigious awards in the Mandopop industry. Bandwagon was present in Taipei for the 29th Golden Melody Awards held at the Taipei Arena on Saturday. 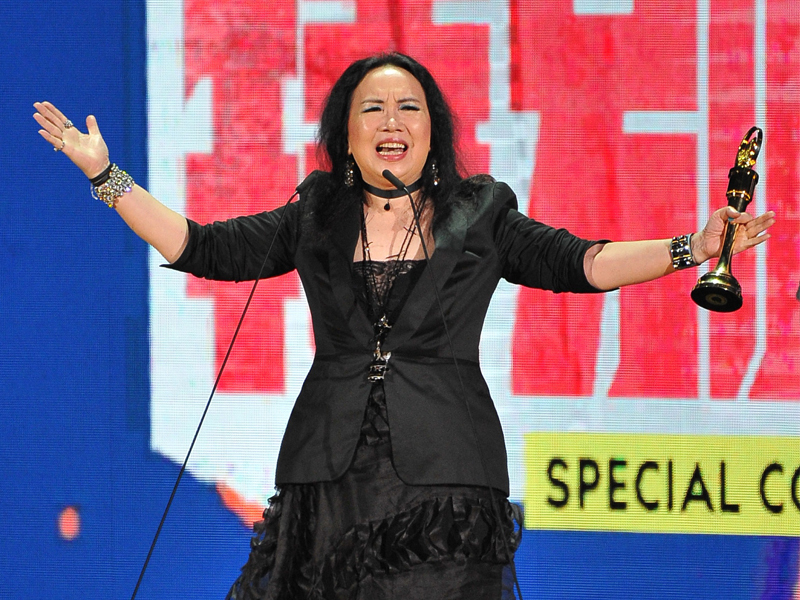 In every year’s Golden Melody Awards, the Best Mandarin Male and Female Singer awards are the most sought after. 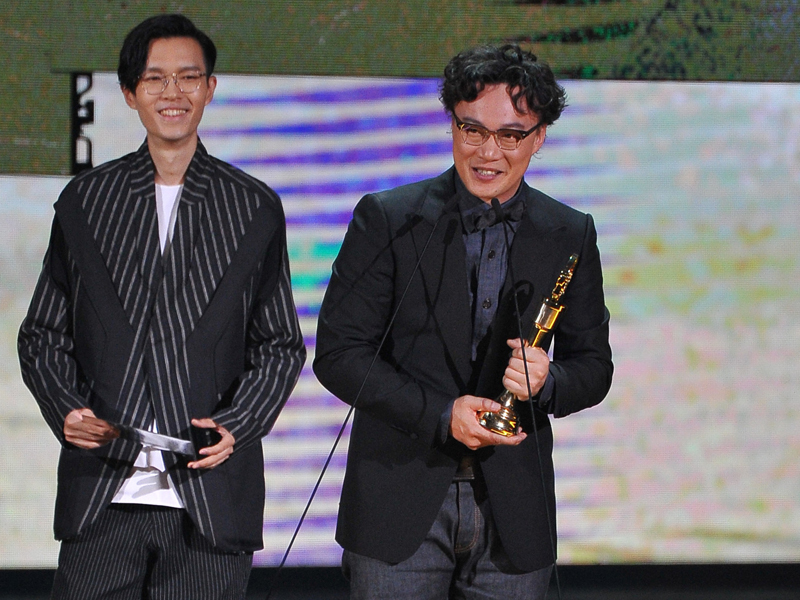 The two awards were taken home by Hong Kong singer Eason Chan and Taiwanese singer-songwriter Lala Hsu respectively. While many fans expected the Best Male Singer award to be a competition between Singaporean singer JJ Lin and Taiwanese R&B singer Xiao Yu, Eason Chan was a surprise winner with his album C’mon In~. Even the singer himself looked shocked when called upon, but he did not hide his excitement, taking his time to thank everyone involved. The singer said, “Taiwan’s audiences and judges have always shown me a lot of love, and I’m very grateful for this.” This is Chan’s third Best Male Singer award, making him the most successful singer in this category. He also won the Album of the Year award later on. One of the best performances of the night came from a collaboration between two powerhouses, Taiwanese singer A-Lin and Chinese singer Sitar Tan. The two singers performed a medley of classic Mandopop songs from the 80s and 90s, and the act was well-received by fans, who were particularly impressed by the powerful vocals of the two singers. While many Taiwanese singers are seeking greener pastures in Mainland China in recent years, this was a rare moment where a top singer from Mainland China performed across the straits. It is also notable that there are many singers and musicians hailing from Mainland China who were nominated for awards this year, including Leon Zheng and Dean Ting for Best Newcomer and Best Mandarin Album, and Chang Shilei for Best Arrangement. At this year’s awards, the two singers with the most nominations were Singaporean singer JJ Lin and Taiwanese icon A-Mei, with six nominations each. However, both were left disappointed at the end of the night. JJ Lin did not take home any of the awards he was nominated for, despite much fanfare for his successful album Little Big Us, and a memorable performance at the end of the show. 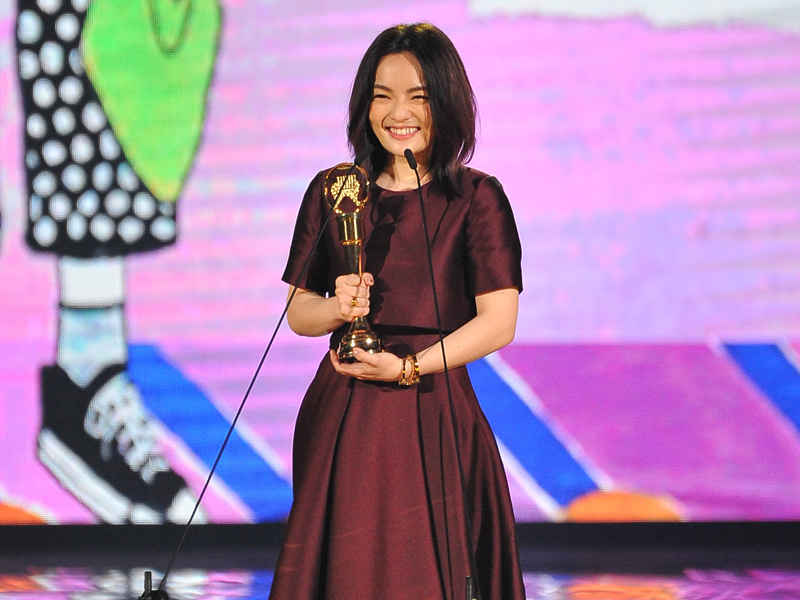 A-Mei performed slightly better, with a win for Best Music Video for her song ‘Left Behind’, though this was more of a win for director Lo Ging-zim rather than the singer herself. 10 years after their debut, Taiwanese rap group MJ116 is enjoying the best year of their music career. The trio had just managed to sell out their two-day concert at the Taipei Arena within three minutes earlier this month, and were awarded the Best Group award at the recent Hito Music Awards. 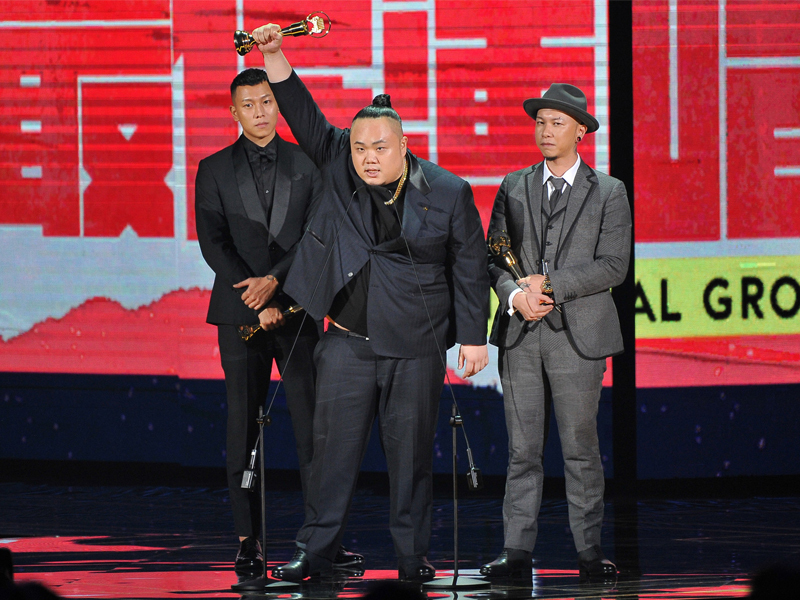 At the Golden Melody Awards, they continued their success with a win in the competitive Best Vocal Collaboration category for the first time with their album Big Thing, beating out favourites Chang and Lee. After winning the award, MJ116 member E-SO revealed that many people had doubts about the group when they decided to go on the rap genre 10 years ago, at a time when ballads and pop music were considered more popular options. Winning the award is an important milestone for the band and feels like a validation for all the people who have supported them all these years. Congrats to all winners, especially Eason Chan, he got the best male singer. Congratulations to all the winners, they deserved the awards. Congratulations to eason chan on his win and award, and congratulations to other winners as well. Congrats to the winners of the contest. Keep up the good work and continue to get more awards in the future.